Hello there, I hope you enjoyed the Clearly Besotted Teasers this week and you managed to get what you wanted. 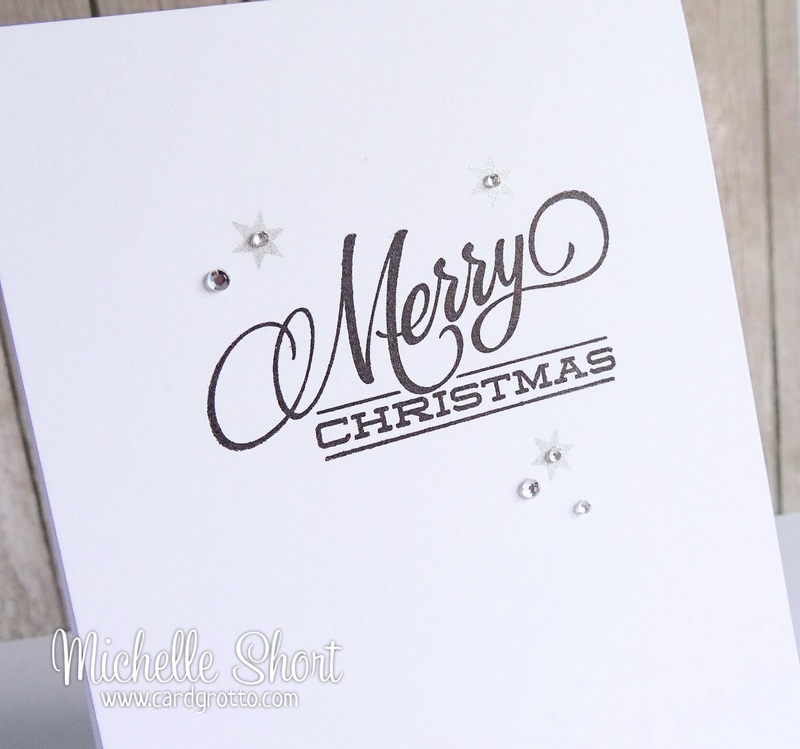 You may have seen this in my release video but here is the card I made with the new Christmas Sparkle stamp set. I was unable to share it earlier as I ran out of posting days! I kept it super simple with this card. 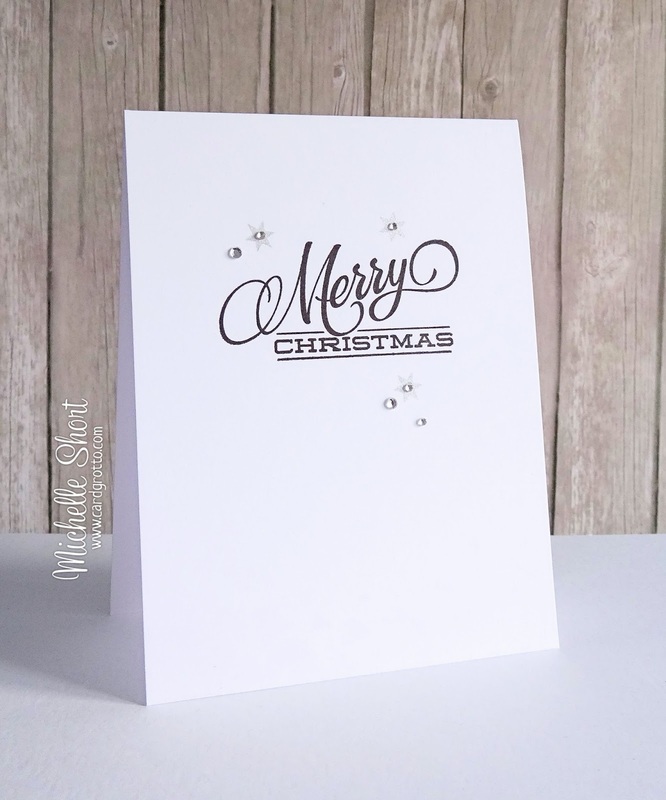 I stamped the beautiful sentiment in black ink, stamped the stars in silver and added a little Perfect Pearls to them for added shine and then popped on a few rhinestones. Simple as that. I think this would make a nice mass produced, one layer card for Christmas. I absolutely love this card. It is simple and my kind of card. Thans for sharing. Beautiful, CAS perfection Michelle, Well done!